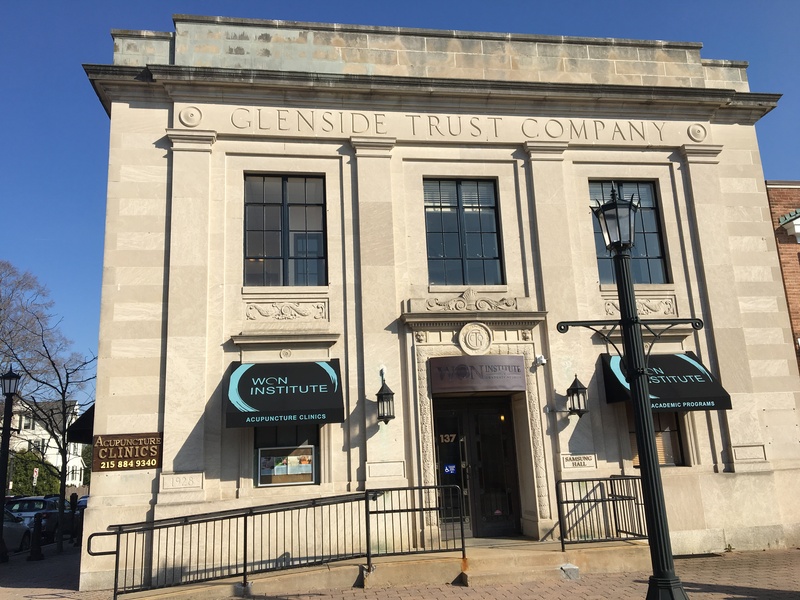 Glenside is an affluent, predominantly Caucasian, suburb of Philadelphia, on the border of an area with a high Korean population. 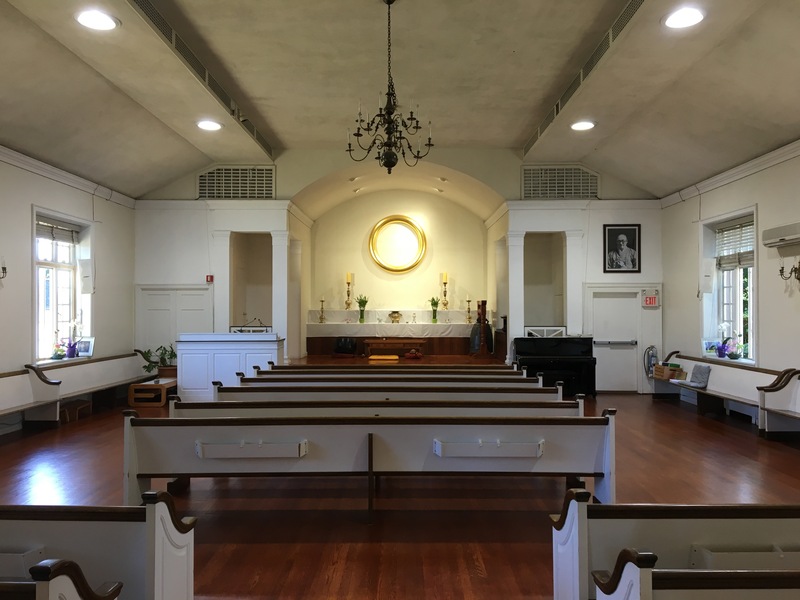 The temple location is a refurbished church, which retains many of the features of a Protestant facility on the interior. 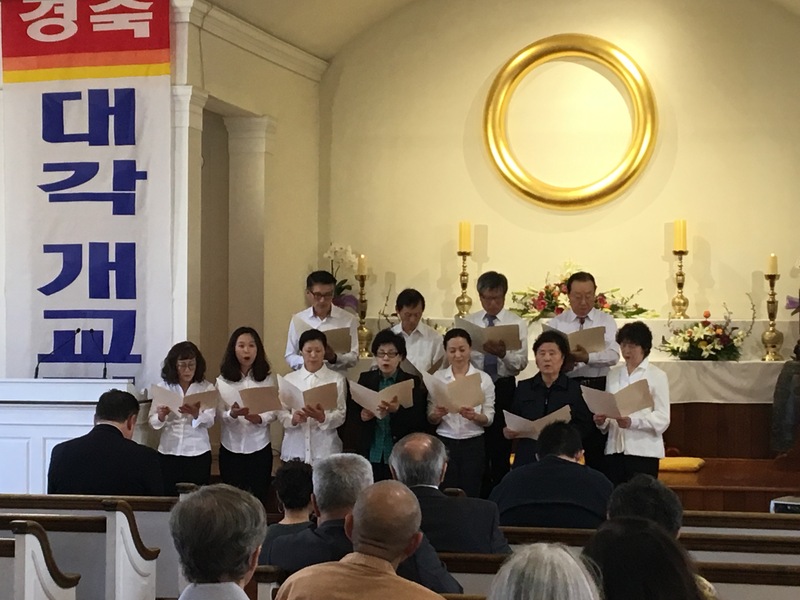 Parallel services are attended by two different groups, the Korean language services attracting mostly Koreans and Korean Americans, and English-language service (which they call the “American congregation”) attracting mostly Caucasians. 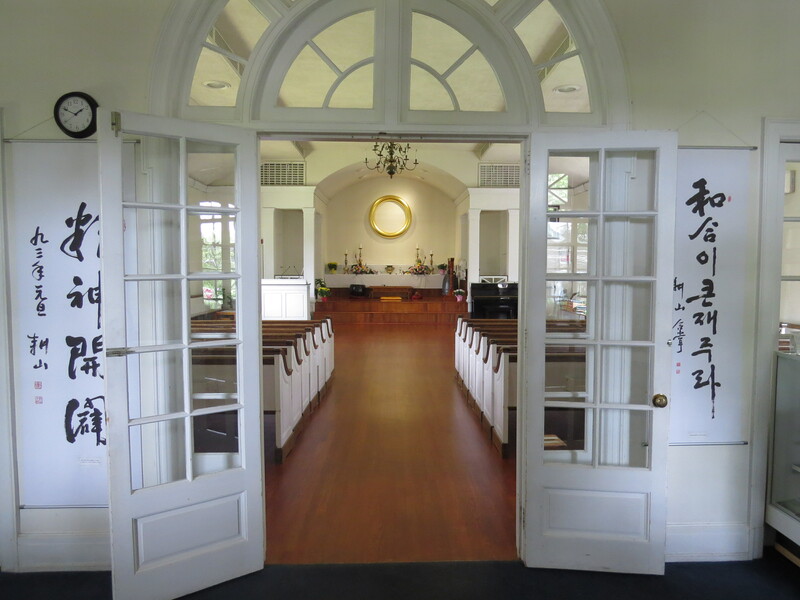 The two congregations have different visual esthetics, practices, and material cultures. The Korean services include chanting to Amitābha Buddha and Dharmakāya Buddha, as well as Dharma talks, hymns, and rituals. In contrast, the services in English are mainly focused on sitting meditation, "moving meditation" (i.e., qigong), and Dharma talks, spending less time on chanting and none on singing hymns (the Heart Sūtra is chanted in both). In the Korean service, practitioners sit mainly in church pews, while in the English service practitioners sit on the floor on cushions. The average age is 50-60 in the Korean service, while there are more young adult practitioners in the English service. Special events are bilingual with live translation, and draw up to 70-80 people from across both communities. 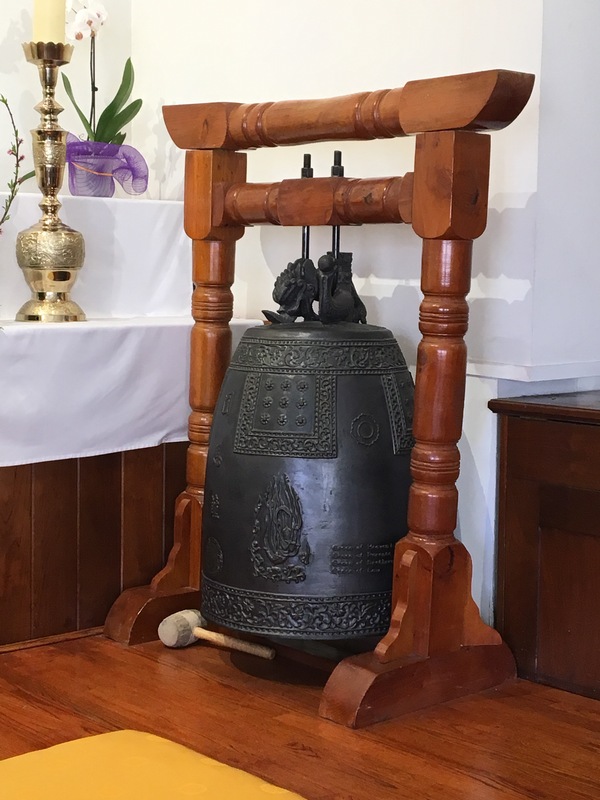 Services are closely modeled on a Protestant format, though punctuated with Korean Buddhist-style bells, woodenfish, and chanting. 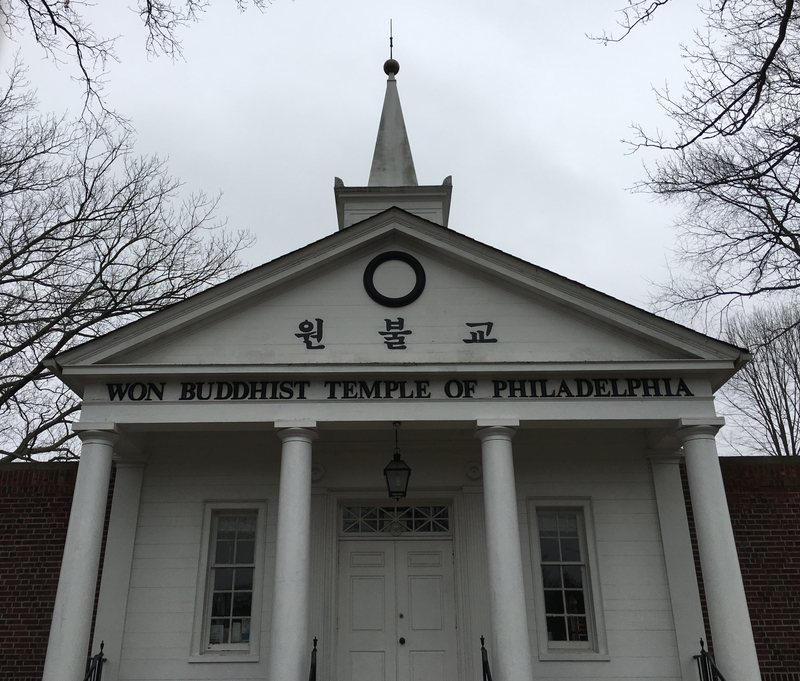 In the basement of the temple, the Won Community Services Center began largely as a service center for the Asian immigrant population in the suburbs north of Philadelphia (including Won Buddhist ministers immigrating from Korea). As immigration patterns have shifted over the past decades, they now also serve people from Africa, Latin America, Eastern Europe and other parts of the world. 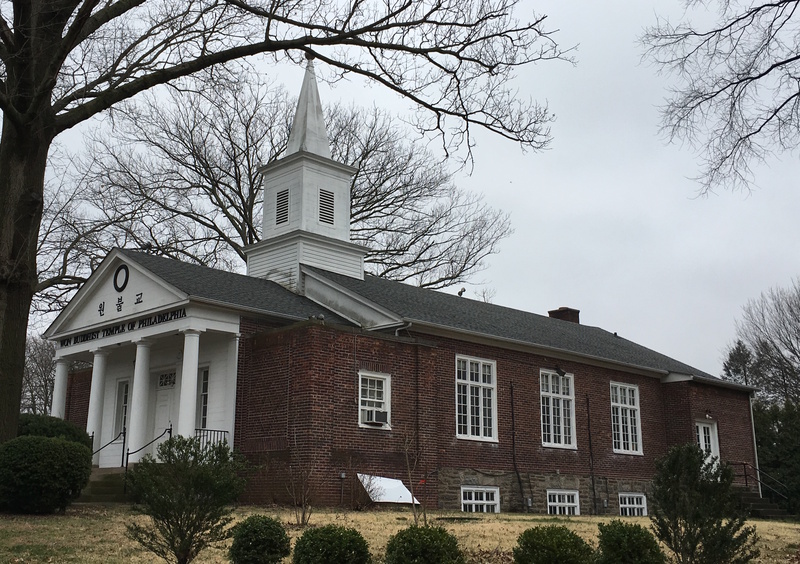 At the Won Institute of Graduate Studies, the enrolled students (many of whom drive in from outside of the Philadelphia area) are mostly female. They represent a diverse racial/ethnic mix, though primarily Caucasian. All enrolled students are required to take courses in meditation and are introduced to basic Won Buddhist thought during their programs. Regular group meditation sessions are held in the building, including sessions for the general public. These are presided over by Won Buddhist ministers associated with the temple, but also by faculty and staff of the Institute. “Spiritual cultivation” (Kr. chongsin suyang; Ch. 精神修養) is explained to be an important focus of both the English and Korean services, and meditation is one of the main practices used to attain this. The interviewee (a Won minister) encourages practitioners to practice mindfulness during different daily activities, but also specific structured meditations that focus on the qi (the East Asian concept of mental/physical energy). A particular practice of meditation on the danjeon (Chinese dantian 丹田) is especially noted. Through the practice of this meditation, it is said that the practitioner can balance the water and fire qi in the body. As the practitioner enters into a meditative state where delusive thoughts disappear, the fire qi in the body descends while the water qi ascends. When this occurs, one’s body and mind come into perfect harmony, which in turn enhances one’s health and well-being. In addition to meditation, practitioners also practice "moving meditation" (i.e., a form of meditative movement similar to qigong or taiji). 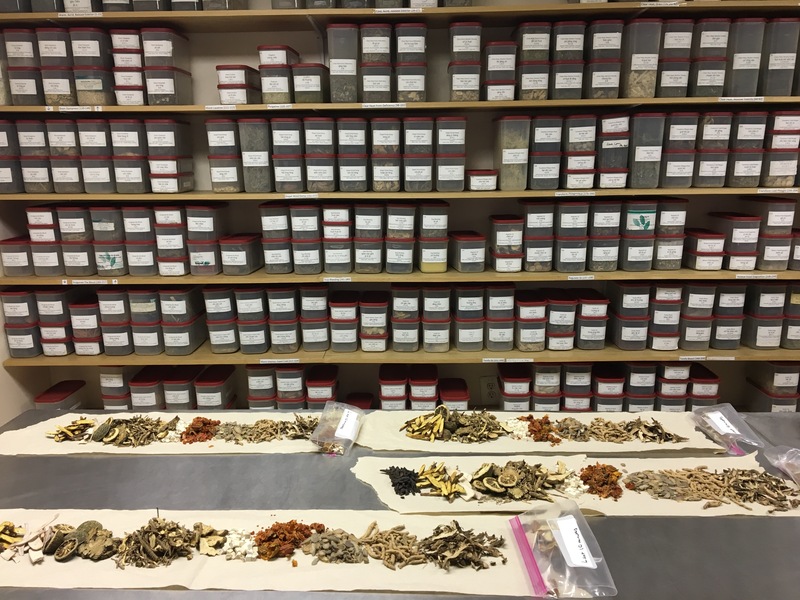 Interviewees claim that this practice can be used to treat a variety of diseases. They report that illness occurs when the flow of qi in the body is blocked, and the obstruction manifests as illness or disease. The practitioner clears the blockages and allows the qi to flow again in its natural rhythm. By continuously practicing, one can enhance his or her mental and physical well-being. 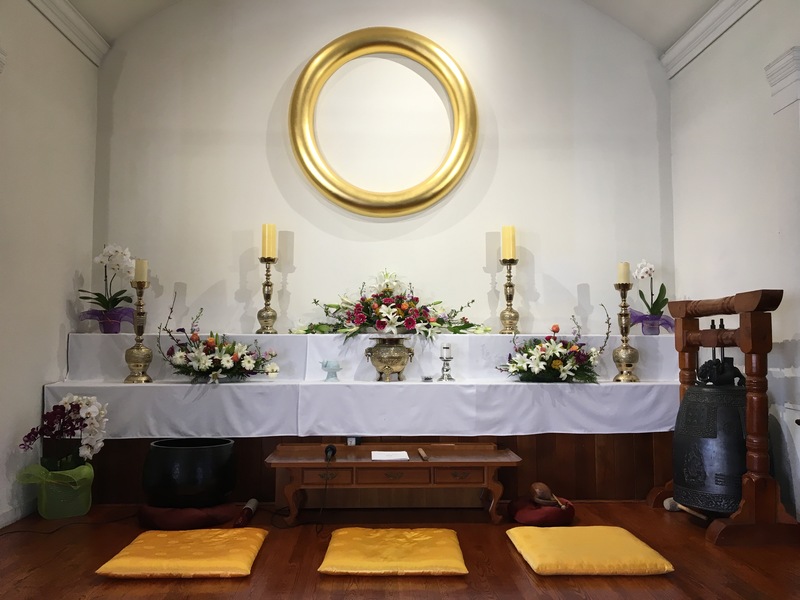 At the Community Services Center, the Buddhist concept of compassion is the main driving force behind the mission, and they also offer meditation classes. 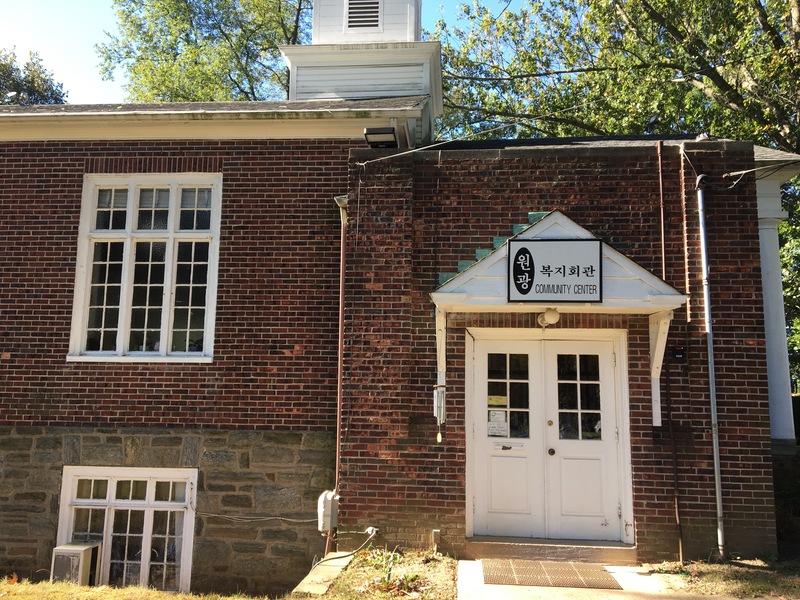 However, the center mainly focuses on offering a range of non-Buddhist social services to recent immigrants and refugees, including ESL classes for both children and adults and tutoring for citizenship examinations. Specifically in terms of healthcare, the WCSC offers assistance in applying for health insurance (Obamacare, Medicare, Medicaid, etc. ), as well as transportation and translation services for members who need to go to the hospital. They also have a volunteer psychologist who assists with personal and family issues, and help refer or direct those in need of medical, social, and legal services. 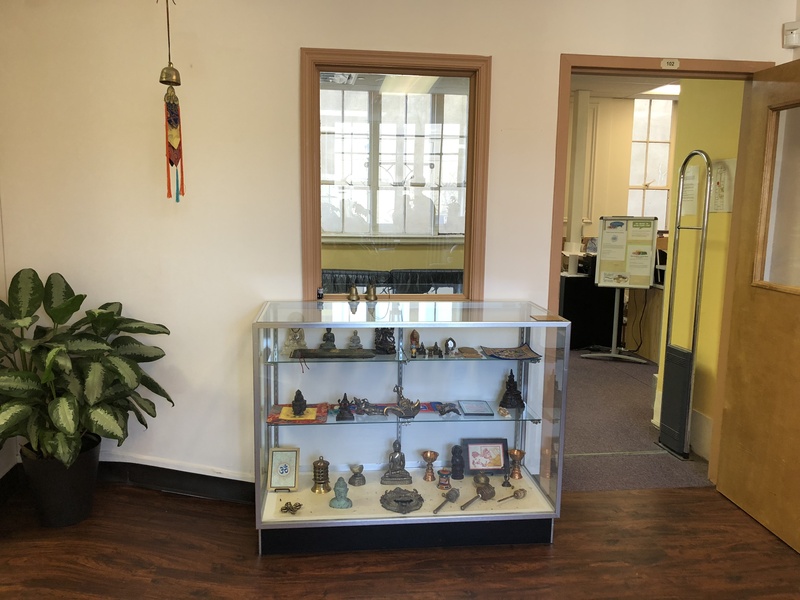 The Won Institute of Graduate Studies offers the only accredited MA program in Chinese medicine in the area, and has also offered a range of smaller programs in psychology and "applied meditation" (i.e., the application of meditation to therapeutic and other settings). The Institute operates an student-run acupuncture clinic that offers low-cost treatments to the public, including heavily subsidized sessions for veterans once per week. The Institute briefly operated the Won Center for East West Medicine, an acupuncture clinic inside of the Hahnemann University Hospital in Philadelphia, but the unit closed in 2015. 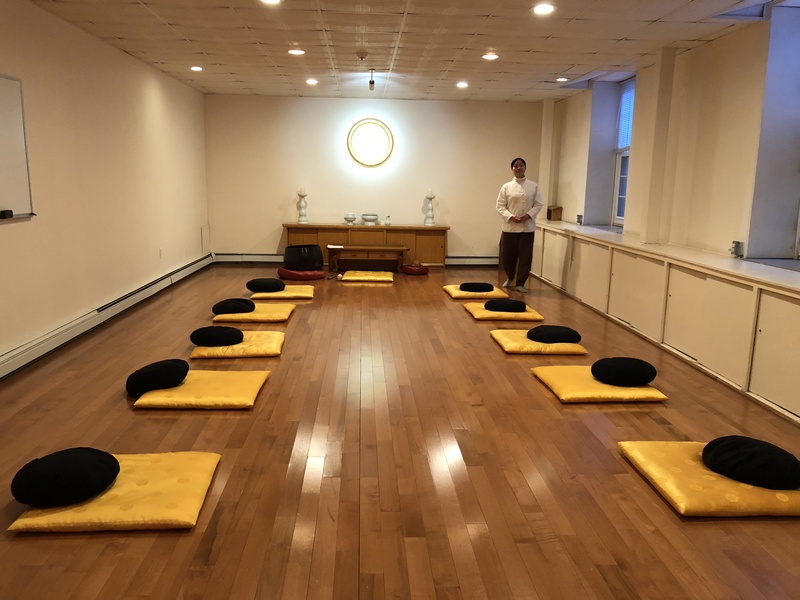 The institute offers regular on-location meditation sessions, qigong classes, and special lectures and events related to Buddhism and health that are open to the public. In addition, members of the faculty are involved with various charitable health initiatives in the Philadelphia area, including free acupuncture clinics for the homeless, and students offer acupuncture at local health fair clinics.